The NiagaraFurniture version of an Inlaid Shield Back Arm Chair. 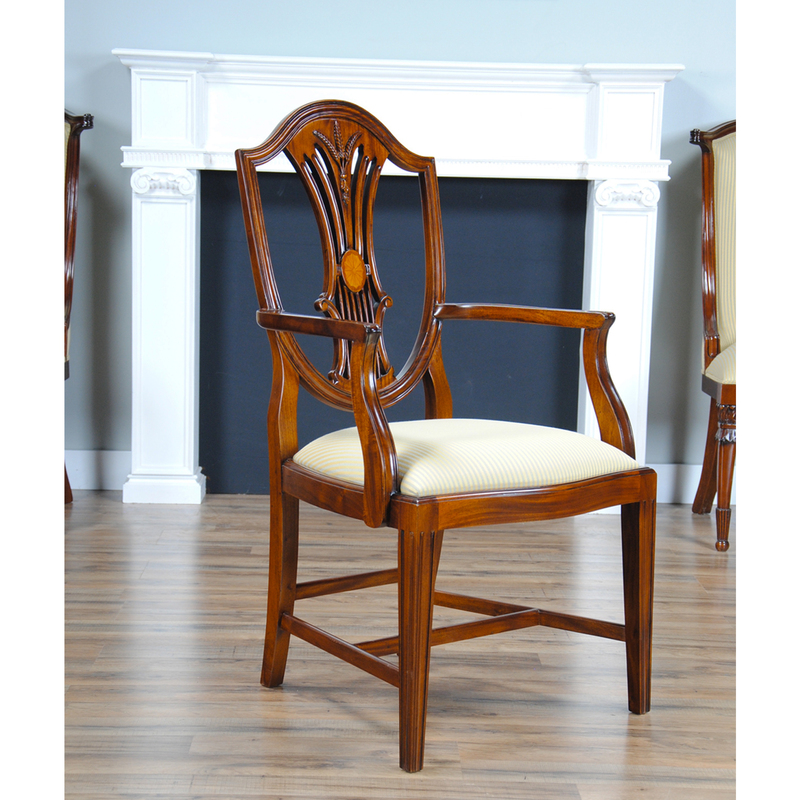 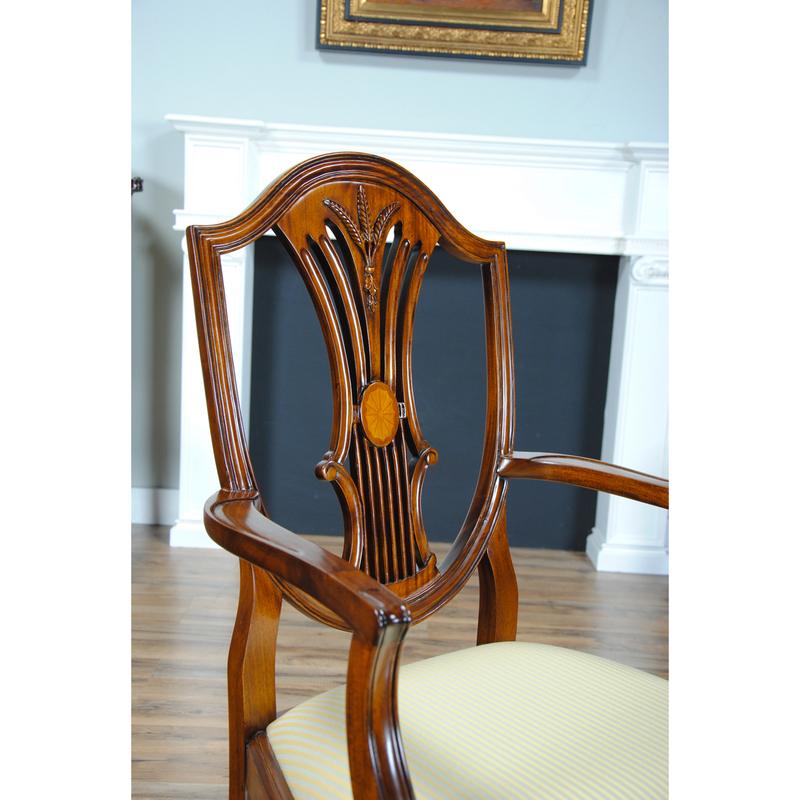 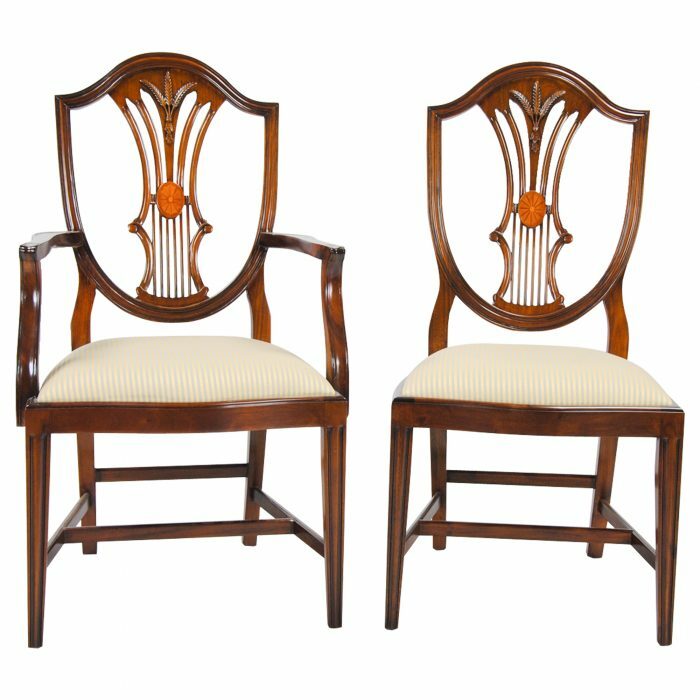 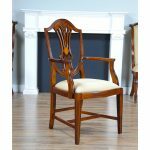 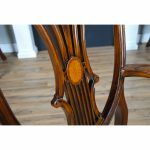 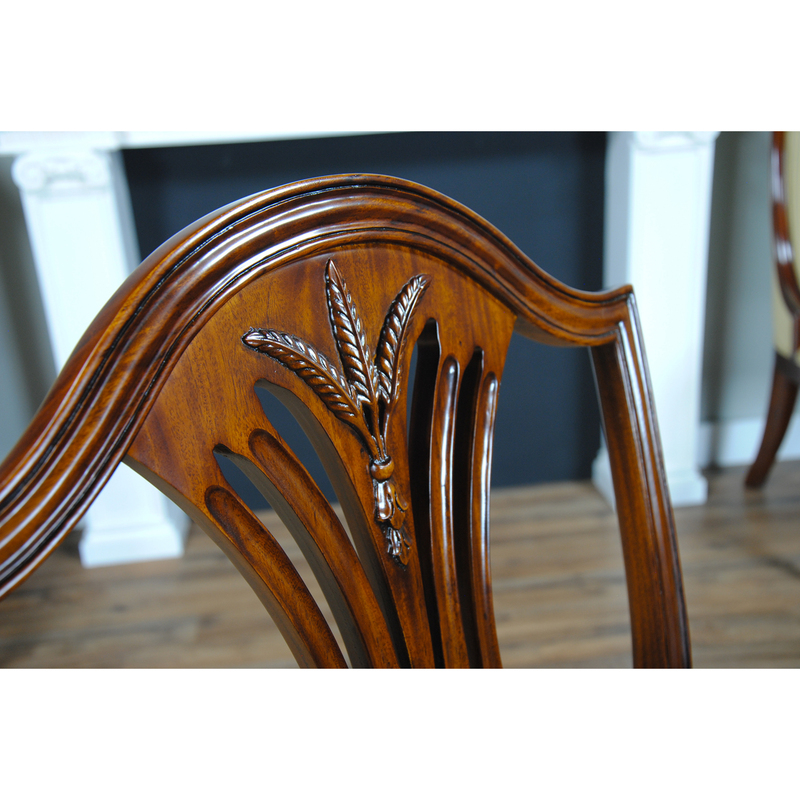 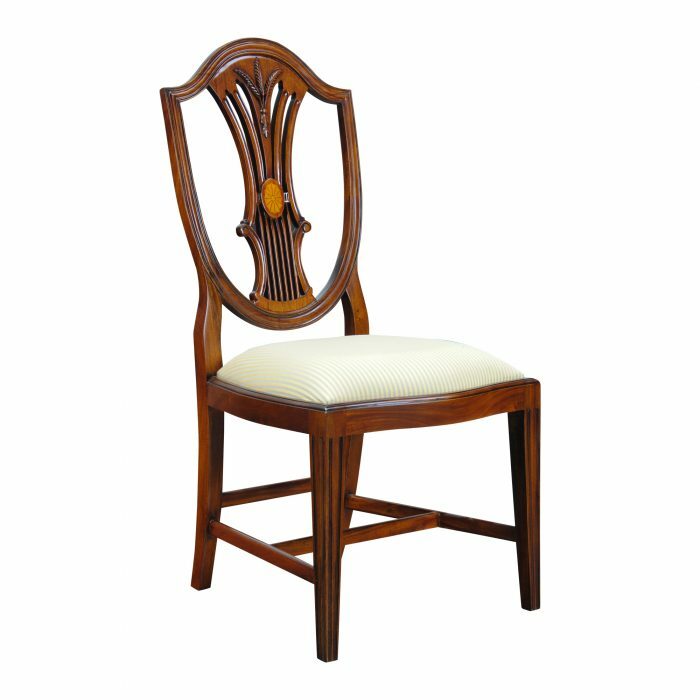 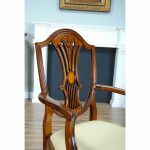 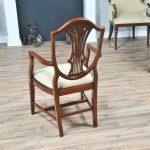 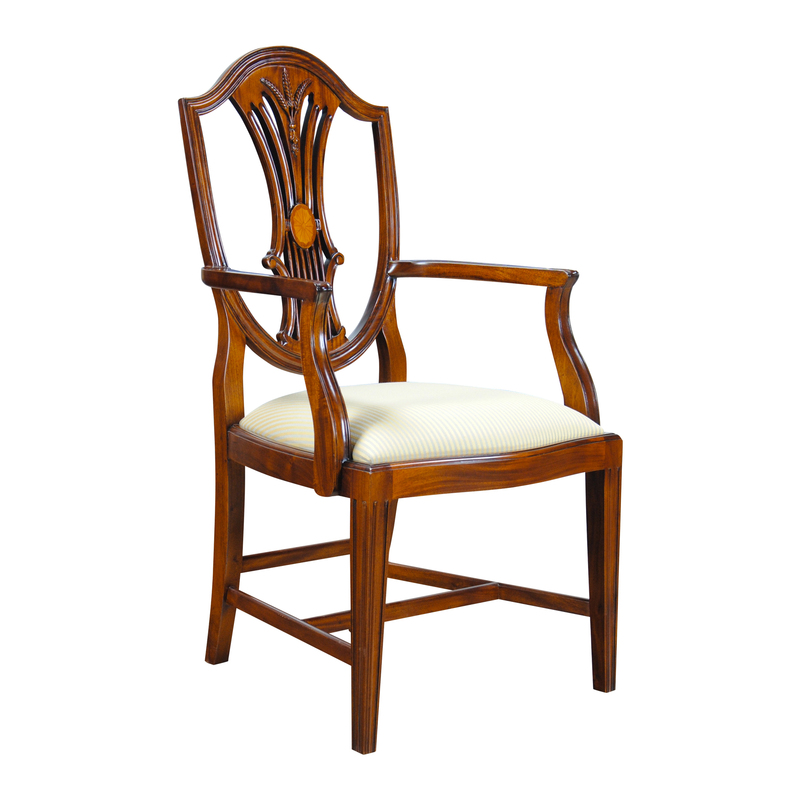 Taller than many traditional shield back design chairs this one has everything; a sweeping crest rail, wheat sheaf carving at the top of the back splat, hand inlaid oval motif midway down the back splat as well as simple, classic design elements in the remainder of the chair. 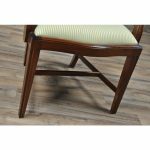 Finished in rich, warm, brown tones like the antique originals the chair also has a drop in seat which is easily removed with four screws to make fabric changes simple. 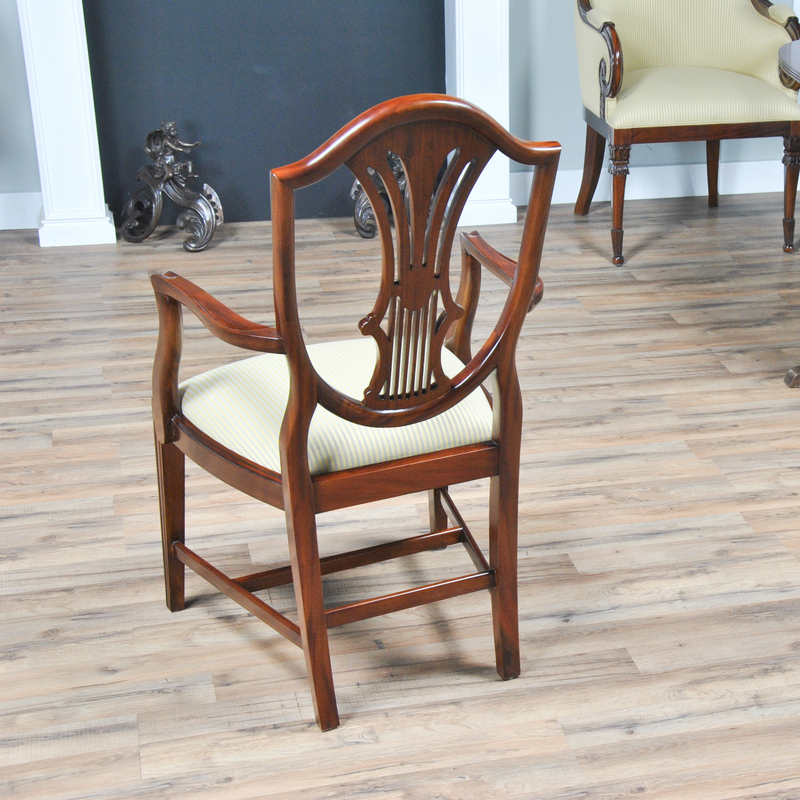 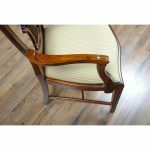 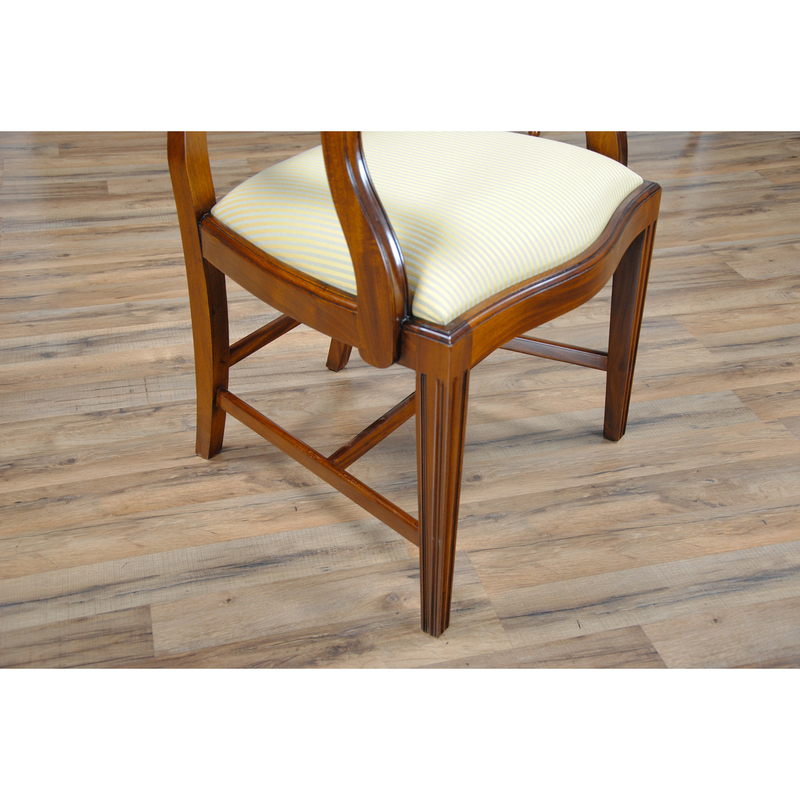 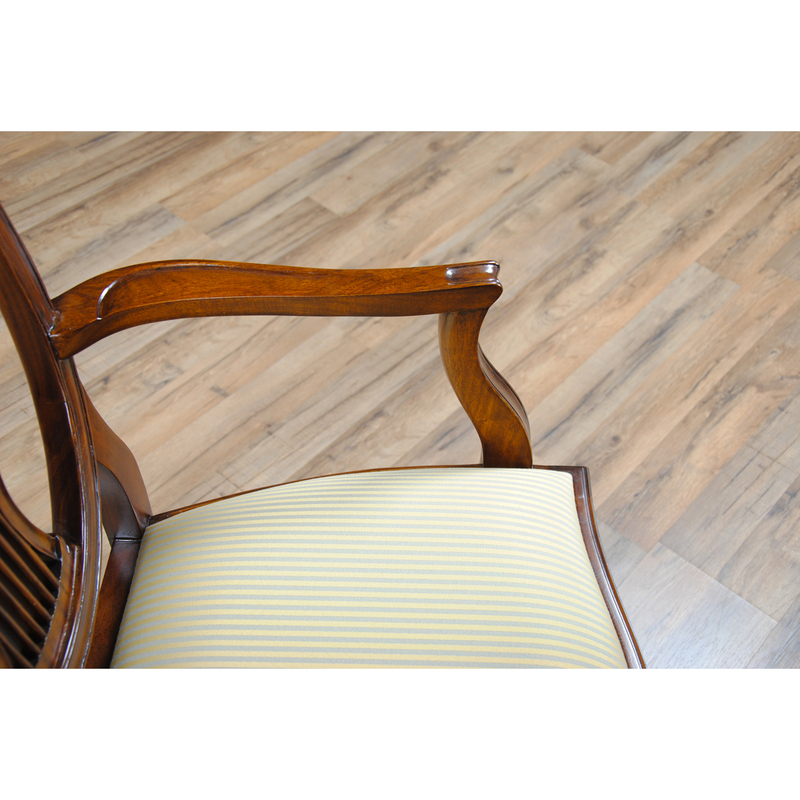 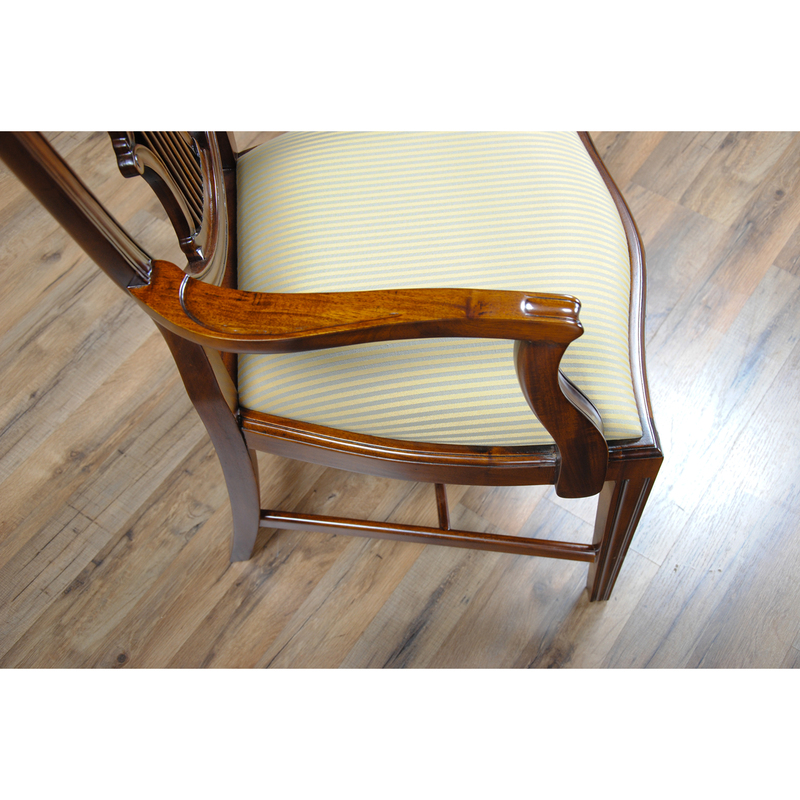 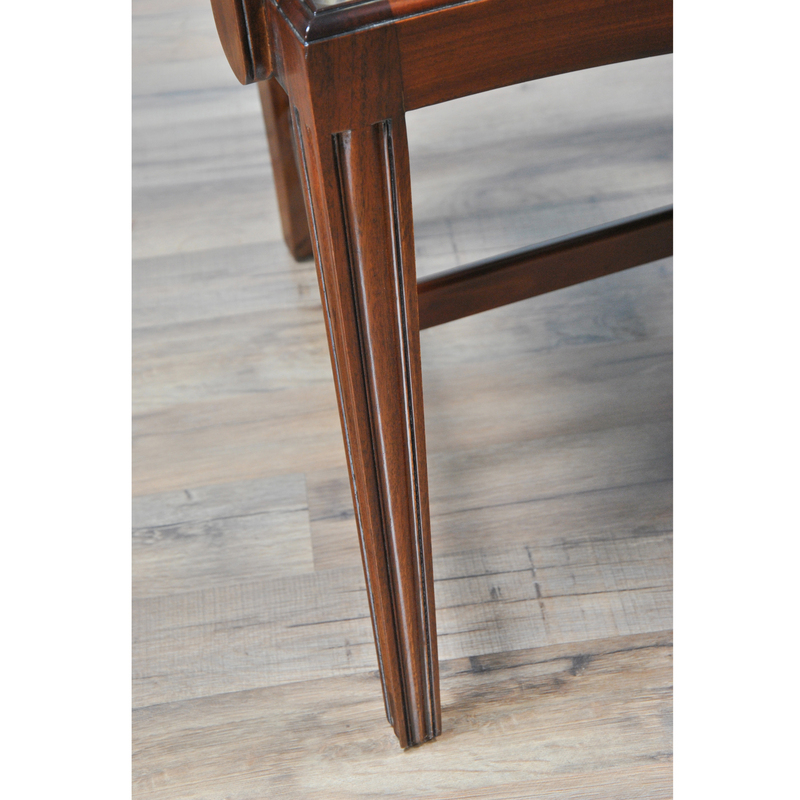 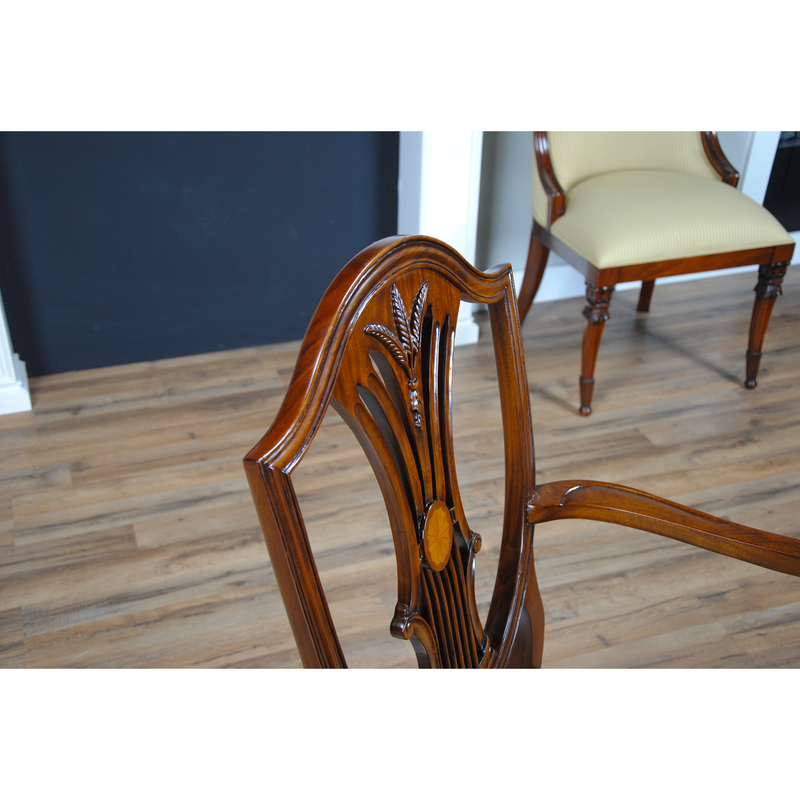 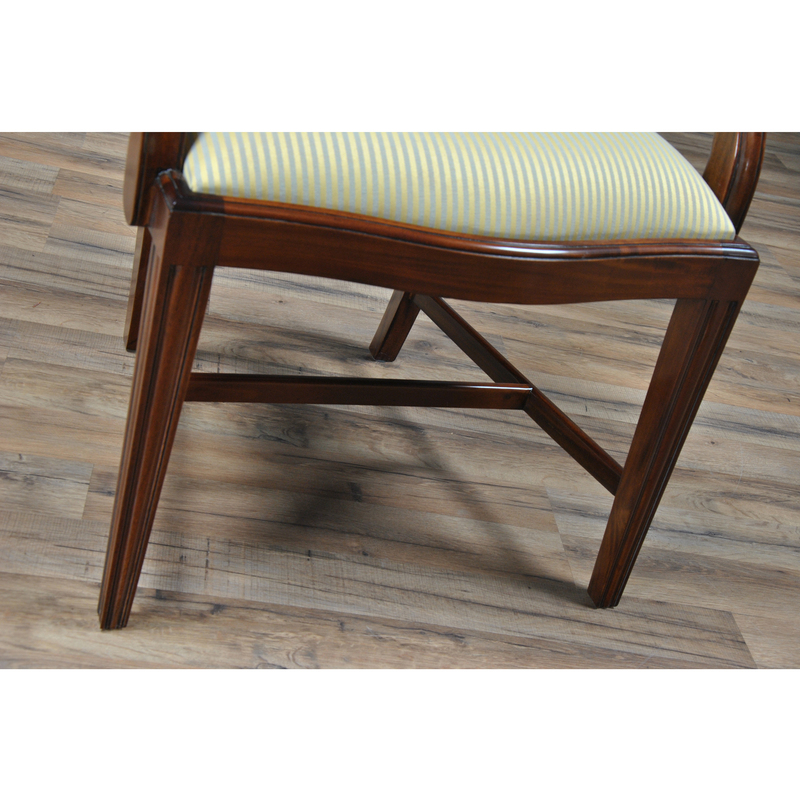 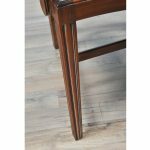 The Inlaid Shield Back Arm Chair also features an H stretcher which connects the front and back legs making the chair extra sturdy and durable.